Leschi is a neighborhood in central Seattle bordering Lake Washington to the east and Interstate 90 to the west. Named after Chief Leschi who camped out here regularly, residents here enjoy the same incredible views as ultra-expensive communities like Madrona at more affordable prices, while also getting the advantage of the fantastic extensive park system and docks along the lake. 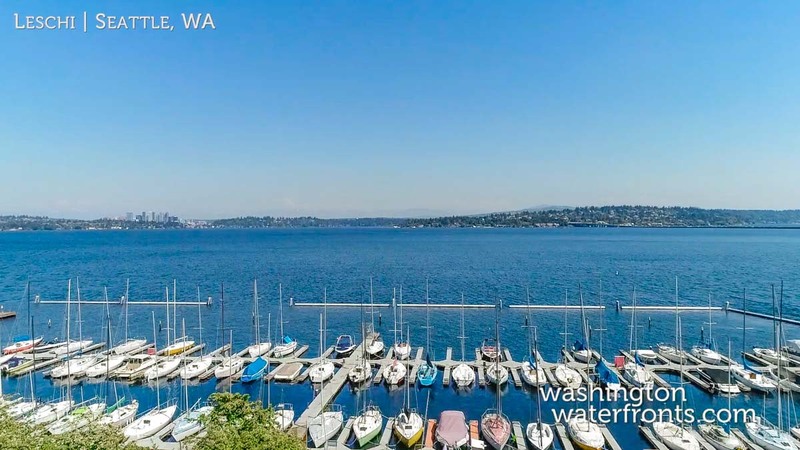 Purchasing Leschi waterfront real estate allows owners the opportunity easy access to all the outdoor activities the Seattle area is so well known for, including the practically endless hiking trails and boat moorage. While downtown Seattle is just minutes away the Leschi business district provides Leschi waterfront real estate owners with lots of great dining options too, including both fine and casual dining with water views and outdoor dining. You’ll also be able to pick up the basic necessities at Leschi Market when you don’t want to venture out further, yet large supermarkets and big- name stores are just a short drive away. Leschi Park is just one of the many reasons residents love living here, with its well-manicured, grassy rolling hillside plated with rose gardens and exotic trees. Look forward to taking a spot under the willows and gaze out at the sailboats and the old-time ferry, or enjoy the park by taking out your sailboat, kayak or canoe. Leschi waterfront real estate includes everything from classic bungalows and view condos to expansive, luxury homes, some that can be picked up at a relative bargain, compared to pricier Puget Sound neighborhoods. With factors like its location perched over Lake Washington close to downtown, a picturesque harbor, nice business district, and a casual, laidback atmosphere, calling Leschi home is a great way to enjoy a more relaxed state of mind, far from hectic pace of the city. Take advantage of our industry-leading tools to make your property search as easy as possible and be sure to register for a FREE account so that you can receive email alerts whenever new Leschi real estate for sale hits the market. If you’re seeking to sell your Leschi property, contact our Waterfront Specialists directly for a comprehensive listing analysis and to learn more about the cutting-edge marketing strategies we’ll use to sell your home quickly for top dollar!